Robert C.W. Ettinger was a physics teacher and sci-fi writer whose greatest contribution may have been to comedy. 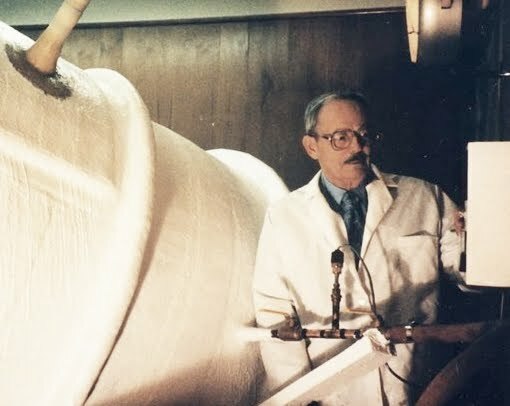 If there were a Nobel in comedy, he would have received it for his discovery of “cryonics.” The process, by which bodies are frozen at death to be reanimated at a later date, pending the discovery of a cure for mortality, has inspired comedy greats like Woody Allen and Mike Myers. Sleeper and Austin Powers were byproducts of Mr. Ettinger’s novel appropriation of cryogenics. “In interviews, Mr. Ettinger traced his earliest interest in the possibility of immortality to a story he read when he was 12 in the popular science fiction magazine Amazing Stories,” Paul Vitello wrote in his Times obit (“Robert C.W. Ettinger, aProponent of Life After (Deep-Frozen) Death, Is Dead at 92” NYT, 8/2/11). “It was about a professor who launched himself in a rocket into deep frozen outer space, where he remained entombed for 40 million years until an advanced species of men discovered him and revived him.” A later wartime experience in which Ettinger’s limbs were spared amputation “convinced him that there might be a way someday to fix anything, even death.” According to the Times, there are 106 bodies and 80 pets stored in Ettinger’s Cryonics Institute in suburban Detroit, including now Mr. Ettinger himself. The Times obit has been optioned by Ron Howard for a comedy starring Ben Stiller.